Aura Alvarado helped run the relief center in Hartford. She says there's still a need for services for hurricane evacuees. 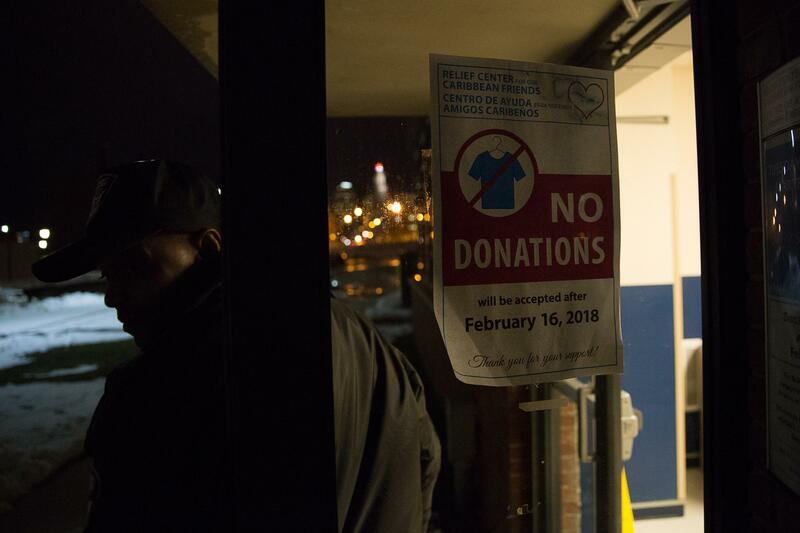 Hartford’s hurricane relief center was where evacuees from Puerto Rico could come to get help: help finding housing, jobs, winter clothing -- whatever supplies or services they needed to restart their lives in Connecticut. 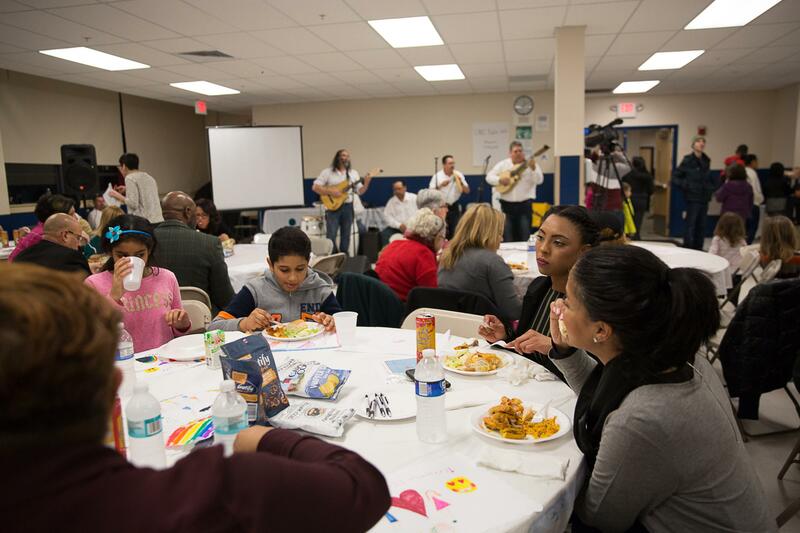 The center closed last week, and to celebrate its work, the staff there held a dinner with traditional Puerto Rican music and food. A live band played, and volunteers served a warm meal of baked chicken, and rice with peas. Juan Carlos Rodriguez joined dozens of other hurricane evacuees at the dinner to express his gratitude. Speaking through a translator, Rodriguez said it’s because of the center that he was able to get ahead after relocating here alone from Puerto Rico. Hurricane evacuees and volunteers eat at a dinner celebrating the work of the relief center on March 8, 2018. He’s 23, and came here with a lot of anxiety about the move. With the relief center’s help, he was able to find a job at Home Goods -- and he’s been driving for Uber on the side. Now that his life is back on track, he plans to learn English, pursue a master’s degree, and apply for the police academy. Aura Alvarado helped run the relief center. She said there’s still a lot of need -- over 20 new families came through that week. 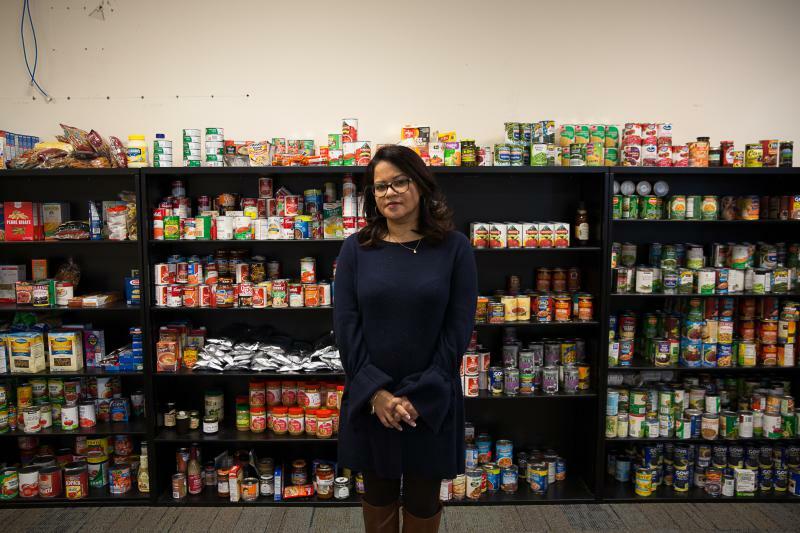 Alvarado said the center was intended to be a temporary program run by several nonprofits and the Capitol Region Education Council, a regional education organization that had some empty space in a former school. But their lease on the building ended in February, and it would cost $30,000 a month to continue to rent it -- money they don’t have. “I think we all wish we could keep it open for a long time -- there’s still families coming,” Alvarado said. Outside the hurricane relief center in Hartford. Now that the center is closed, new arrivals will be sent directly to the nonprofits that can help. But for many evacuees, the building also served as a home base where they could find emotional support and a warm meal. Emilio Camacho, 80, recently found an apartment in Hartford after relocating from Puerto Rico with his wife. But before then, they lived in a hotel -- where the only food provided was a small breakfast. He said it’s because of the food the center gave them that he and his wife are still alive. And now, after living through the aftermath of the hurricane the past six months, Camacho said he’s happy, because they’re finally settling down. Six Months After Hurricane Maria, What Challenges Remain? This week will mark six months since Hurricane Maria made landfall in Puerto Rico, devastating the island. 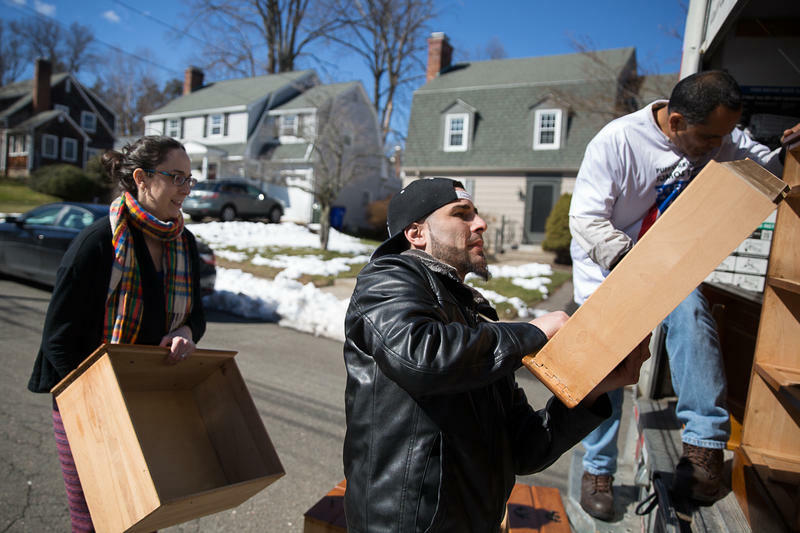 Since the storm, thousands of Puerto Ricans have moved to Connecticut to restart their lives. This hour, we hear some of their stories as we take stock of the continuing impact of the hurricane.